Established TGA Premier Sports Franchise for sale in Los Angeles. For the first time in 15 years, the franchise rights to the Westside of Los Angeles are available. TGA is selling the franchise rights to the only company owned location, to focus resources on National and International expansion. This flagship territory has been in business since 2003, serving as a testing ground for the other 125 franchises around the United States. The territory spans north of the 105 freeway, south of Mulholland Drive and west of the 101 and 110 freeways. The franchise is being offered at $88,000, which is 1.5x earnings plus $15,000 of equipment inventory. Revenues were $190,000 between July 1, 2017 and June 30, 2018. The market is 30% saturated with substantial opportunity for growth through built in relationships and potential facilities and customers. This franchise business currently runs programs at 37 schools and community centers, and 3 camp locations. What differentiates TGA compared to other after school sports programs is our curriculums that merge athletics with academics through STEM Labs. 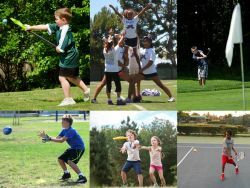 TGA is unique because we are the only after school and camp program that runs the sports of golf and tennis. If you are entrepreneurial and have a passion for kids, sports and your community, TGA could be a great fit for you. For more information please visit www.playtga.com and www.franchisetga.com. TGA is a multi-national franchise organization that conducts youth sports after school, camp and league programs in golf, tennis, flag-football, cheerleading, lacrosse, volleyball, floor hockey, and ultimate frisbee. There are currently 121 TGA franchise locations over 31 states in the US and Canada. 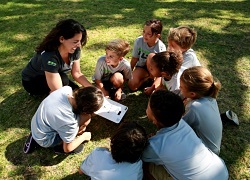 TGA combines athletics, academics, and life lessons into programs that ignite a passion in our students to explore and grow through sports while developing the foundations for an active and healthy lifestyle. Our youth sports player pathway aligns with American Development Model (ADM) principles, which stress the importance of age-appropriate activities that emphasize motor and foundational skill development, multi-sport participation, as well as a progressively challenging atmosphere. Full training and support is provided by the franchisor for new franchisees – TGA HQ provides initial curriculum, marketing, software and business development on-boarding training of seven (7) days as well as reasonable consulting time in the territory for one year. 24/7 on-going support is included. To find out more about this TGA Premier Sports franchise for Sale please fill in the form below and submit.